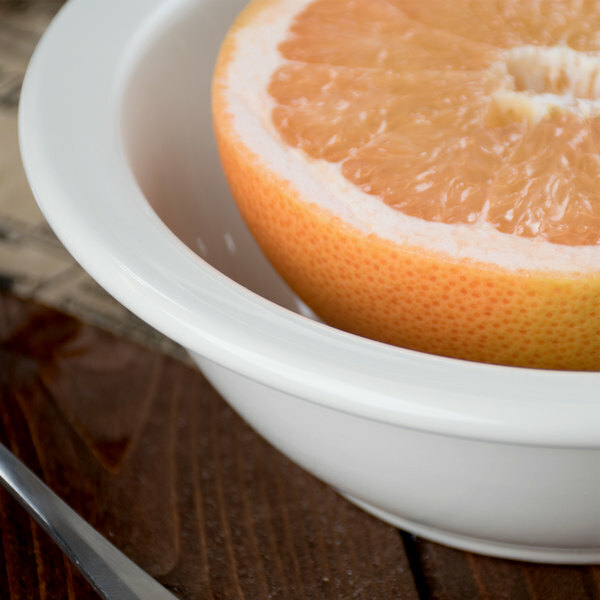 Serve everything from cereal to chowder in this Choice 6 1/2" ivory grapefruit bowl. 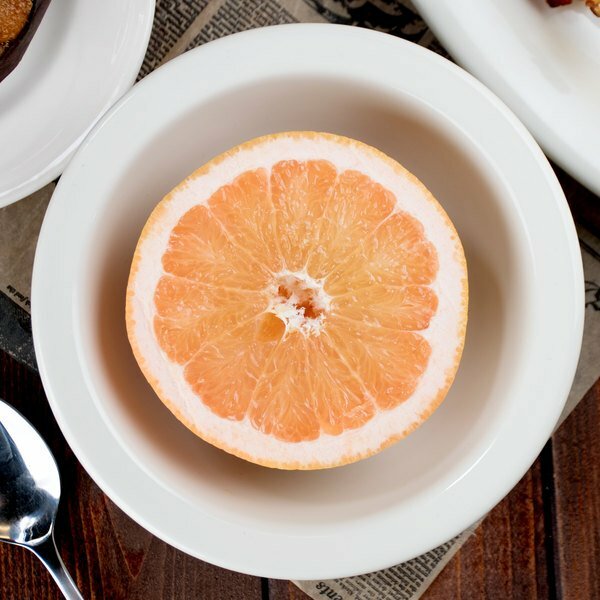 Perfect for serving oatmeal, grapefruit, soup, and more, this rolled edge china grapefruit bowl is an ideal solution for restaurants, diners, cafes, and coffee shops. Additionally, each bowl can be stacked, allowing for optimal and efficient use of your storage space. 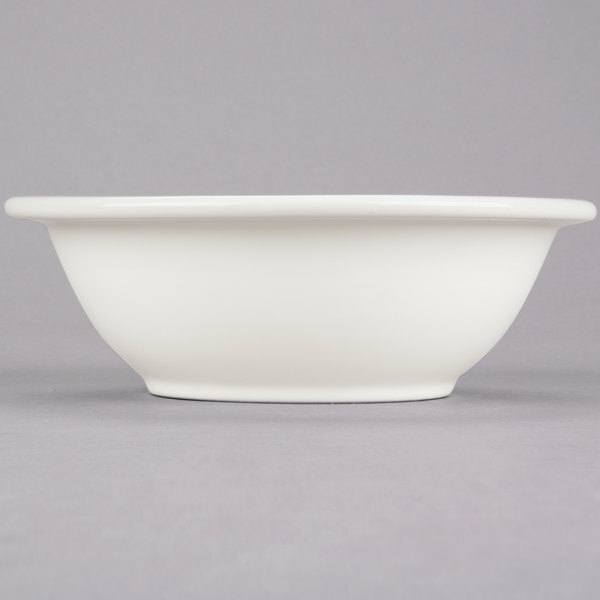 "Excellent quality bowls and the perfect size for breakfast or small side salads. They nest together well so they take up very little space in storage too!" 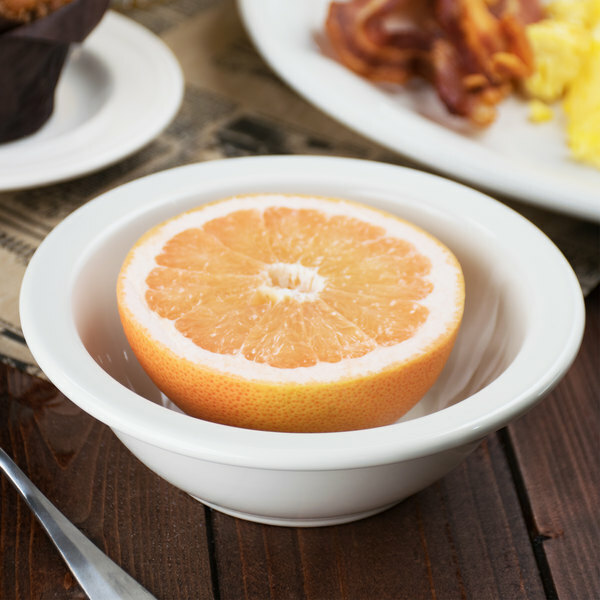 This Choice 6 1/2" bowl is designed with high walls, making it perfect for serving grapefruit since the juice is contained within the bowl. The high walls also add an attractive flair to your table settings while keeping the bowl narrow for more efficient storage in your kitchen. 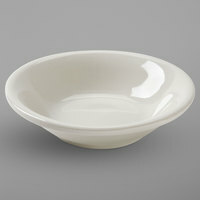 This durable china bowl withstands chips and scratches to give you years of dependable use. Choice is dedicated to providing you with catering supplies, paper and disposable supplies, small kitchen hand tools, and serving solutions at the best possible prices. Whether you are looking for a strong and durable utility cart or an attractive serving dish, Choice has just what you need at a price you can afford! These bowls are so nice to have. We use them for bowls of soup and they are a perfect size! They are sturdy and easy to clean. Choice is a great brand of dinnerware. 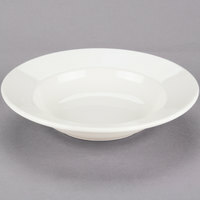 Love the bright white color and the heavy duty nature of this china. 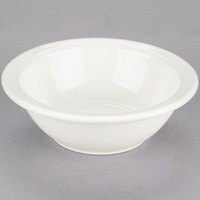 A great 6 1/2" bowl perfect for serving our fresh blueberry pancake syrup. A fairly standard item, but one that we need to replace often. Gets used for a number of different food items i.e. cereal, fruit,rice, etc. Good price. I absolutely love this entire line of china. I like that you can get an entire matching set for an affordable price. Choice is a great brand. Excellent quality bowls and the perfect size for breakfast or small side salads. They nest together well so they take up very little space in storage too! Many uses! Great for side salads! We also use it for steamed mixed vegy, single out fries, small soup and anything else you can think of. Couldn't do without it! 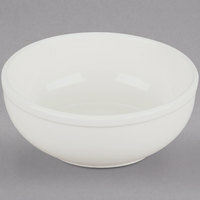 Great salad bowl for buffet catering events. I had a few dropped and go threw the dishwasher with no chips or scratches. I would recommend this product. We use these bowls for desserts and fruit. 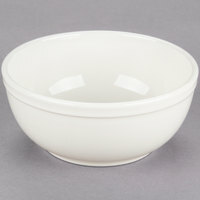 We also use these bowls to warm stuff up in the microwave. The rims stay cool so you can grab them after microwaving. They are very durable and look really nice on the table.